You have probably heard the saying “Exercise is medicine”. Well, it is the truth. 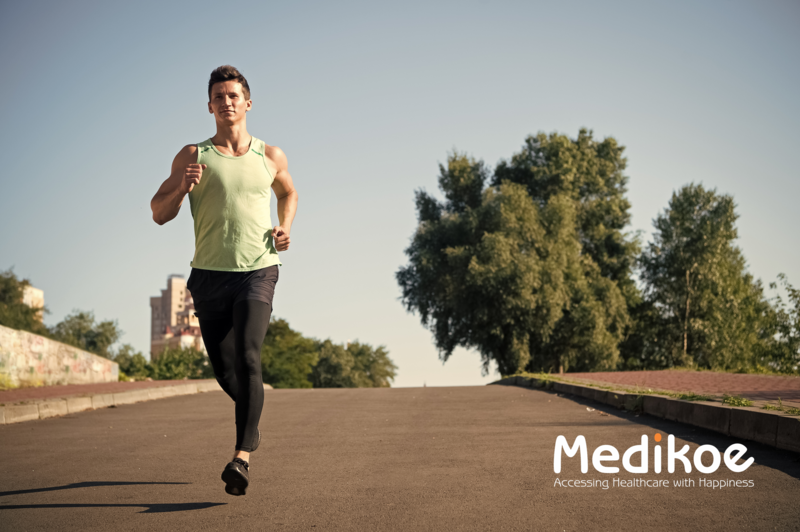 Scientific evidence has proved that running or jogging offers a heap of health benefits. What are the Benefits of Running or Jogging? Let’s understand how running or jogging contributes to your overall health. With old age, we become prone to degenerative diseases such as Alzheimer’s, which affects brain functioning. Exercise increases the blood flow in the brain. Running isn&apos;t a magical cure to Alzheimer&apos;s, but it can help in boosting the brain chemicals and prevent degenerative diseases such as dementia and Alzheimer’s. If you are having a bad day, running will boost your spirit and help you feel positive. “Runner’s high” is the feeling people experience after a good run. It increases the concentration of norepinephrine, reducing anxiety and keeping your mental health in check. Even if you could spare 20 minutes each morning for a run, you would be in a great mood all day. People who run for even an hour a week can reduce the risk of cardiovascular diseases compared to those who don’t run. If you have bold pressure related problems, regular aerobic activity can greatly benefit you. Although running can cause blood pressure levels to rise temporarily, it controls cholesterol and diabetes. You can try brisk walking for 15 minutes or so if blood pressure is your concern. Apart from keeping most health concerns at bay, exercise also increases your life span. Runners not only remain active but also live longer compared to their sedentary counterparts. A quality good night sleep of 7 to 8 hours is essential for nurturing the body and maintain other bodily functions. Running helps you develop a better sleep cycle. Runners experience an increased stamina that is not only restricted to the track but is applicable in all of their daily activities. You are less likely to run out energy or feel fatigue and remain productive throughout the day. Running helps you achieve your daily limit of physical activity. Remember you don’t need to run faster or for hours. A 5 minute run will do the trick. So put those jogging shoes on and hit the track.